Angelina Jolie was spotted as she went to a romantic dinner date with Brad Pitt in New York City on January 7. 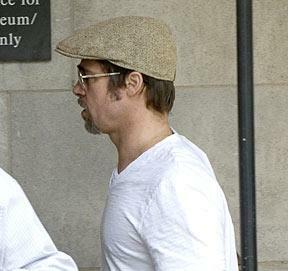 Brad Pitt stopped the Washington, DC set of Anglina Jolie’s thriller Salt (out July 2010) Monday. He wasn’t photographed with any of their six kids. Brangelina: Sleeping In Separate Bedrooms? Brad Pitt and Angelina Jolie only recently denied that their relationship is in trouble. But if their living arrangements are anything to go by, it seems all is not well in team Jolie-Pitt. Read moreBrangelina: Sleeping In Separate Bedrooms? 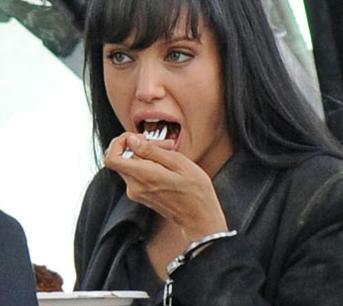 Angelina Jolie takes a break on the set of her new movie Salt to enjoy a slice of chocolate cake for a crew member’s birthday on Sunday (May 24) in Queens, New York. 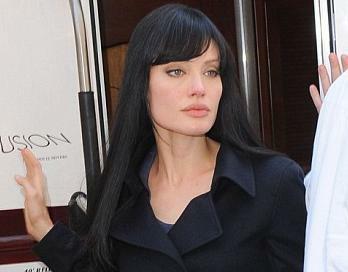 Angelina Jolie’s co-workers on the New York set of her new movie “Salt” are worried that she might be self-harming. After spending hours filming a daring stunt on top of a speeding truck most people would be ready to call it a day. 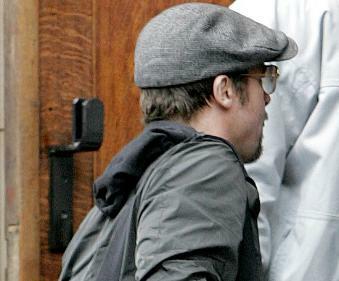 Brad Pitt paid a visit to the New York set of Angelina Jolie’s thriller, Salt, Thursday afternoon.